Nathan’s top three “Bridge exercises” are the Weighted Pull Up, the Hex Bar Dead Lift and the Disc Freestyle Slide. Tom Shields had a breakout swim last summer at U.S. Nationals, winning the 100m and 200m butterfly events. Thanks to our Pan Pacs partner, BridgeAthletic, today we featured Anthony Ervin’s 3 Favorite Exercises. 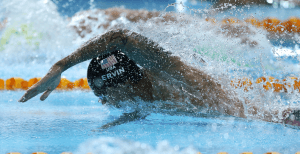 This summer at US Nationals, Ervin battled a lightning fast final to win the title in the 50m freestyle. Michael Phelps finished his first season back from retirement in Australia. 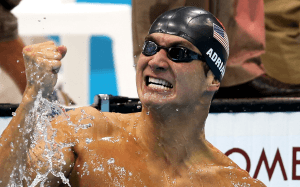 Here are 27 images of the Greatest Olympian of All-Time from the 2014 Pan Pacs. After a highly-successful run in its official debut at U.S. Nationals, the newly-formed sport of #FantasySwimming is back for the Pan Pacific Championships, now expanded into two separate leagues. 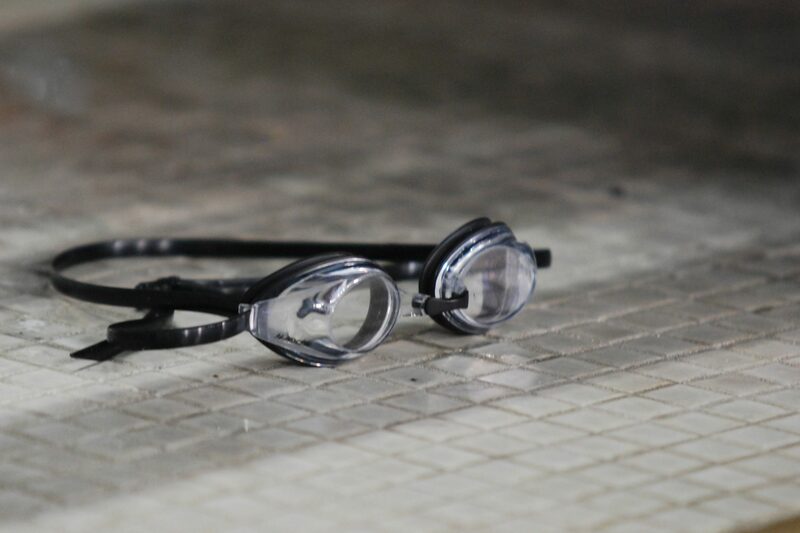 In addition, we’re told the group has now gone international, picking up members from Brazil, Germany, the UK and Indonesia as the rapidly-expanding world of swimming fandom becomes increasingly connected through social media. With very small start lists for the men’s 800 free and women’s 1500 free, teams were allowed to draft the same swimmers, so every competitor drafted someone named Katie Ledecky in the women’s 1500. Is she good or something? 4th-8th, plus scratches and DQs earn nothing. This is high-stakes folks! The first-ever fantasy swimming champion was the Ricky Berens-centric #WeMissYouRicky managed by @AdrienneQW (managers go by their Twitter handles, as most are some of the more well-known swimming fans in the Twittersphere). Team Ricky is back, rebranded as #WeStillMissYouRicky but still maintaining their love of all things Berens. We’ve got a list of all the entrants in the Google doc below, but the names are as creative as the league concept. Among them: #TheMACAttack, #ChasingKalisz (sounds like the title of a hit romatic comedy… you reading this 21st Century Fox? ), #BobsHat (in reference to legendary coach Bob Bowman‘s favorite headgear) and #RyanLochtesCamoShorts, the returning event runners-up. You can check out each team and their event-by-event rosters in the Google document below, courtesy of league organizer @RettaRace, also the co-manager of #TeamTANDL. The league commissioner is perhaps swimming’s most dedicated fan, @TheKaseyS. 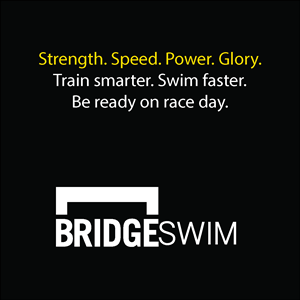 We’ll be keeping tabs on both leagues and getting SwimSwam readers updates as the meet goes on. You can also follow the conversation (and the league’s legendary trash talking) on Twitter with the hashtag #FantasySwimming. Seriously, if there’s one thing these guys do as well as follow swimming, it’s trash talk. It’s too early to tell who’s the favorite, but a few teams have already been hit hard by scratches. #TeamTANDL lost #2 men’s 200 free seed Park Taehwan to a scratch, plus Canadian Brittany Maclean out of the women’s version of that race. That’s far from a crippling blow, though, since TANDL did quite well over the rest of the day 1 events and should be able to stay afloat (They’ve got that Ledecky gal in the 800). I also like Team #BobsHat out of the Lane 4 league over the first day. In the DeckChange league, #NateezytheDamaga seems set up for a big opening day. Now all three of those teams better do well today, or I’ll never get my dream job as a Fantasy Swimming analyst. Hear that? Pressure’s on. 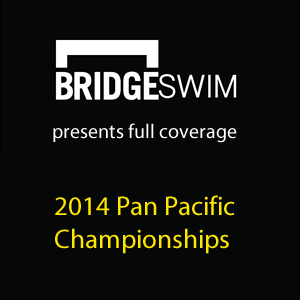 Will there be a SwimSwam PickEm contest for Pan Pacs? CraigH – not this time. We just didn’t have the time to put it all together with so much else going on.